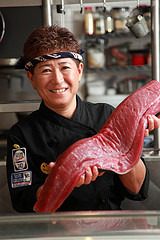 My name is Miki, the owner chef of fusion sushi restaurants: The 242 Cafe Fusion Sushi in Laguna Beach. The nature soothes, relaxes, eases and heals our souls. The restaurant interior is designed based on environmental themes with a hint of Japanese influence. The restaurant interior is my canvas for my artistic self-expression. The interior was designed and built myself. 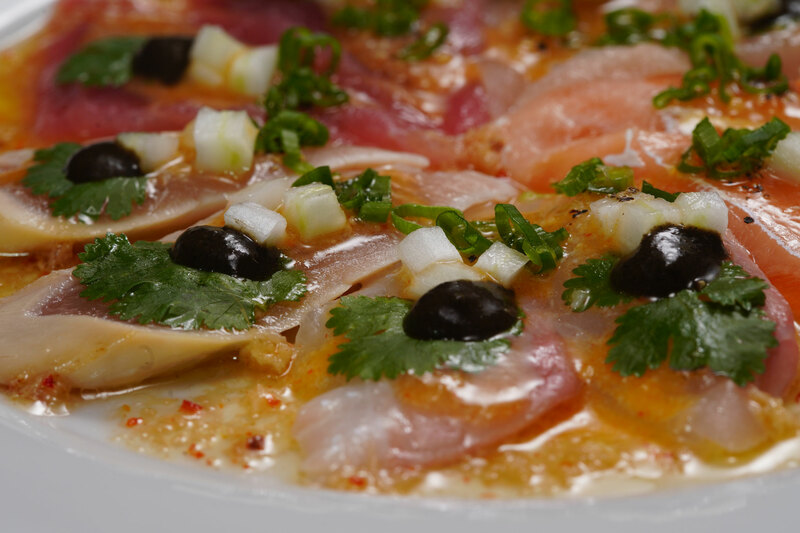 Like the dishes served in 242 Cafe Fusion Sushi serves my original signature dishes. 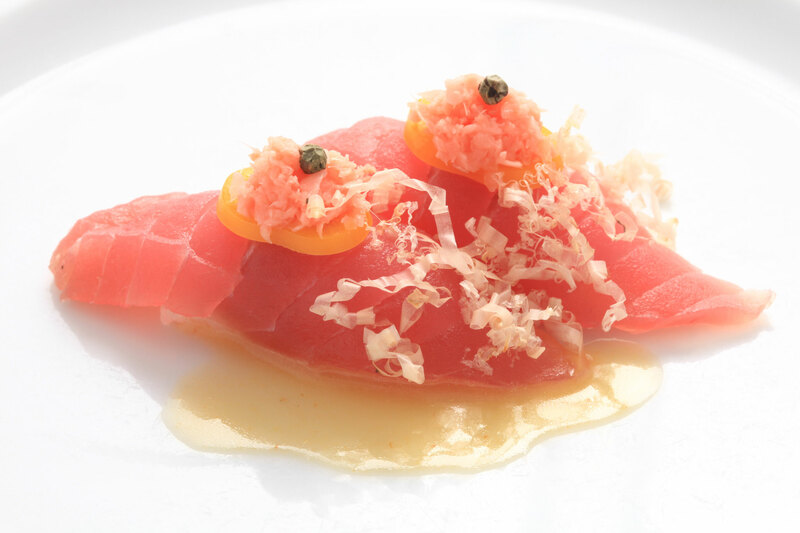 I've worked as a chef since 1986, and as a Sushi chef since 1990. 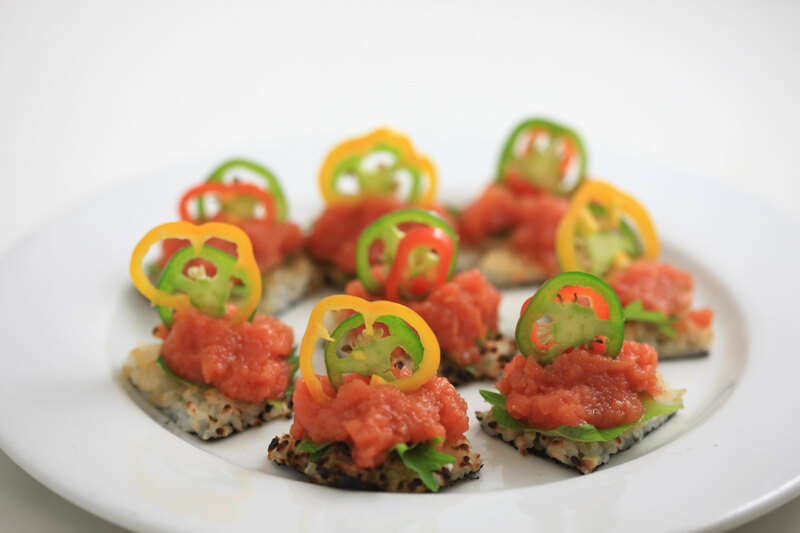 242 Cafe Fusion Sushi has been praised and acknowledged by LA Times, Cosmopolitan and Rachel Ray. 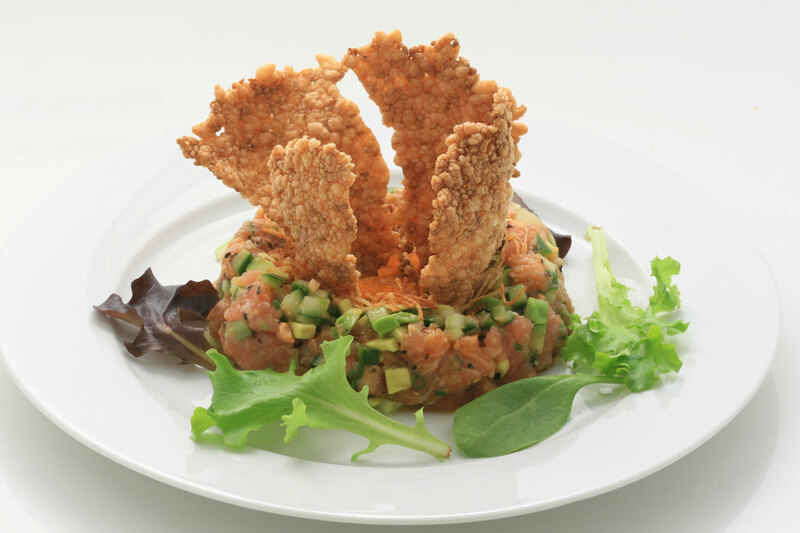 My goal is to pursue the happiness experienced by customers with creative new dishes. I'll see you guys there! Thank you for the love and support. 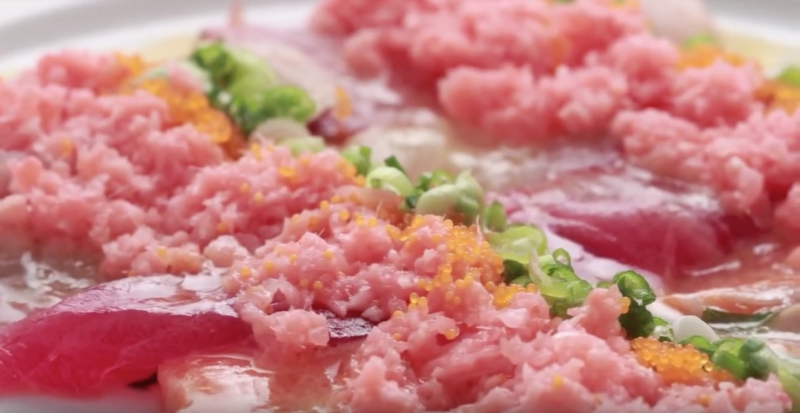 Miki Izumisawa isn't your typical sushi chef. 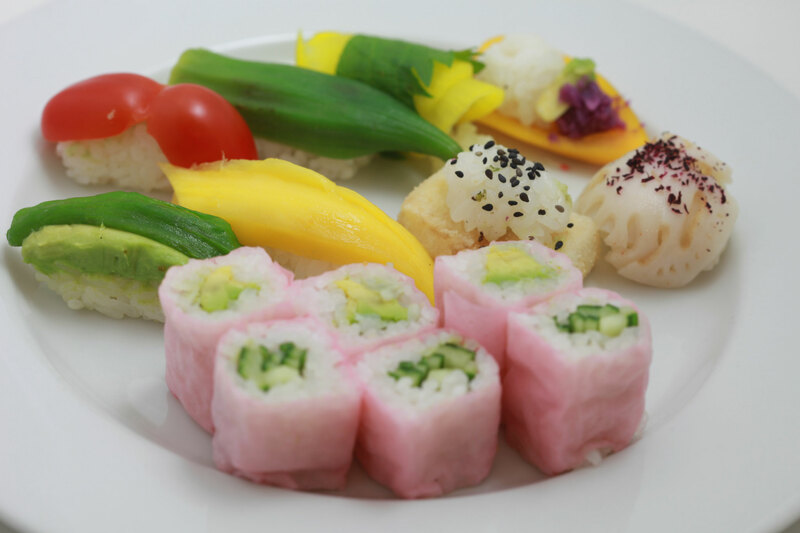 If Japanese customers come to her cafe "expecting an ordinary sushi restaurant," she says, "they will be surprised." 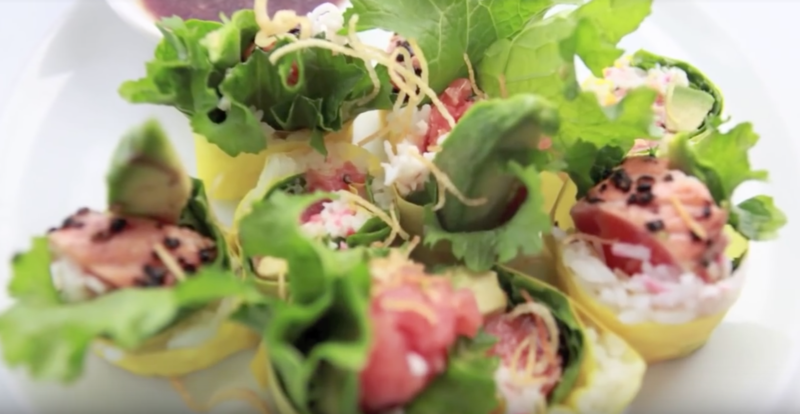 At 242 Cafe Fusion Sushi in Laguna Beach, Izumisawa can be found painstakingly assembling a seafood roll resembling a row of green volcanic hills with bright red lava flowing down the sides. 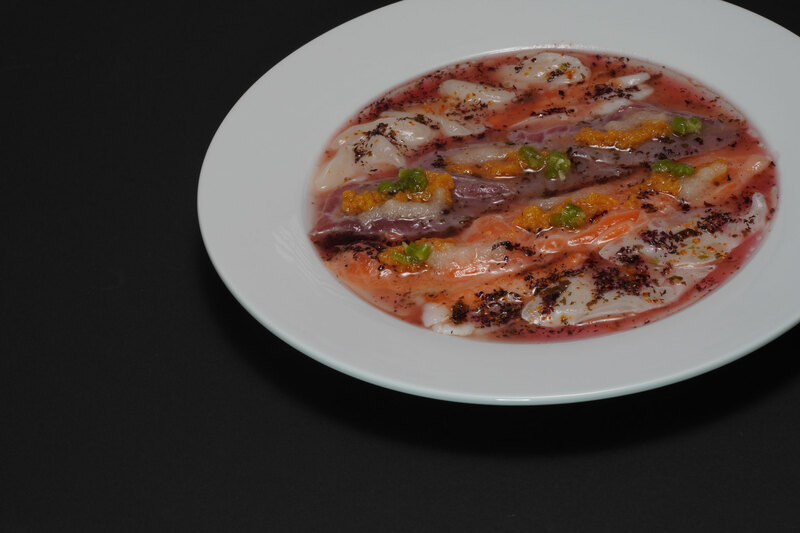 Or she might be plating a variety of fresh raw fish in a star-like pattern she dubs "Moon and Sun" -- with green peppercorns representing the moon, spicy serrano chiles filling in for the stars and a cascade of reddish smelt roe spreading out like sunshine. 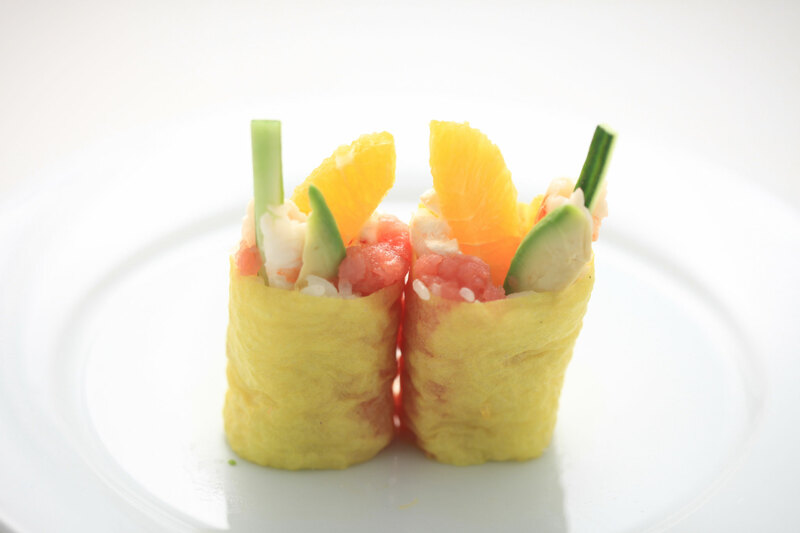 Then there's the Hug Me Hand Roll, which contains banana, mango and walnuts in addition to raw fish. 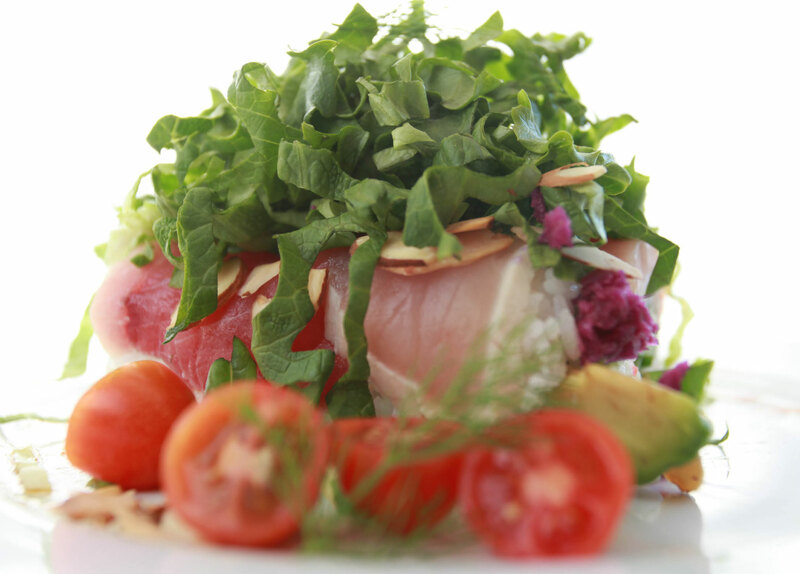 That's a long way from the usual order of yellowtail on vinegared rice with a hint of wasabi and soy sauce. 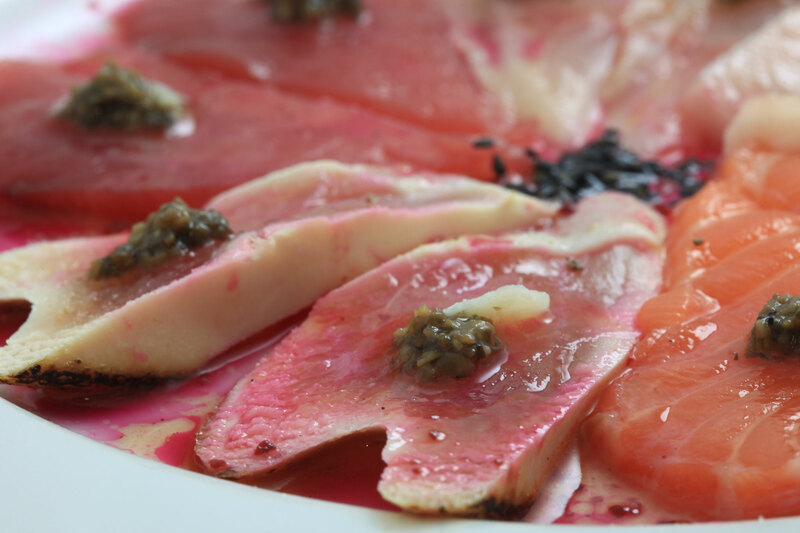 Of course, Izumisawa's very presence behind the counter at 242 -- from its address on Coast Highway -- Cafe Fusion Sushi, knife in hand and jaunty head band securely in place, breaks perhaps the most sacred of Japan's sushi traditions. In that macho world, women are about as common as fish sticks. "Male sushi chefs in Japan have used all manner of excuses to explain why women can't be sushi chefs -- none of which really hold up to scrutiny," says Trevor Corson, author of "The Zen of Fish: The Story of Sushi, from Samurai to Supermarket." Women don't have the reflexes necessary for cutting-edge knife work, goes one line of argument. Another contends that perfumes, hand lotions and other feminine accompaniments disturb the cuisine's delicate balance of flavors. The most oft-heard justification is the belief -- not true, according to Corson -- that a woman's hands are warmer than a man's, thereby robbing the raw fish of a small but detectable measure of freshness. "I think it's Japanese culture -- not just limited to sushi, but from a long time ago in other parts of society," Izumisawa says. "We're the same people and we should be able to do the same things." It's not certain how many women are chefs at the 10,000 or so sushi restaurants in the United States, although it's a growing trend. Frank Toshi Sugiura, founder of the California Sushi Academy and owner of Bar Hayama restaurant in West L.A., says the number of women enrolled in his school has increased markedly since it opened in 1998. 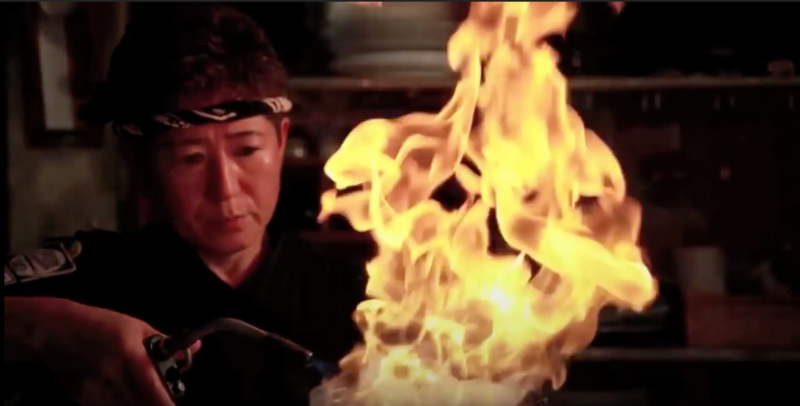 Tracy Griffith, partner and chef at Rika's on Sunset and the sushi academy's first female graduate, will be one of the judges at the SushiMasters regional competition in Los Angeles on April 20. The culinary arts weren't much of an interest for Izumisawa while she was growing up in Tokyo. She was an accomplished softball player, but turned down offers to play professionally so she could attend what is known in Japan as a physical education university. Her goal was to be a P.E. teacher. Instead, at age 23 she packed up and moved to Okinawa, the island prefecture at the southernmost tip of Japan. There, she fell in with an art crowd -- including Bokunen Naka, who later would become noted for his woodblock prints -- and began seriously developing her artistic side, working in media such as silk screening. Moving to America in 1986 at age 27, Izumisawa got her first experience of professional kitchen life when she took jobs in Japanese restaurants to support herself. 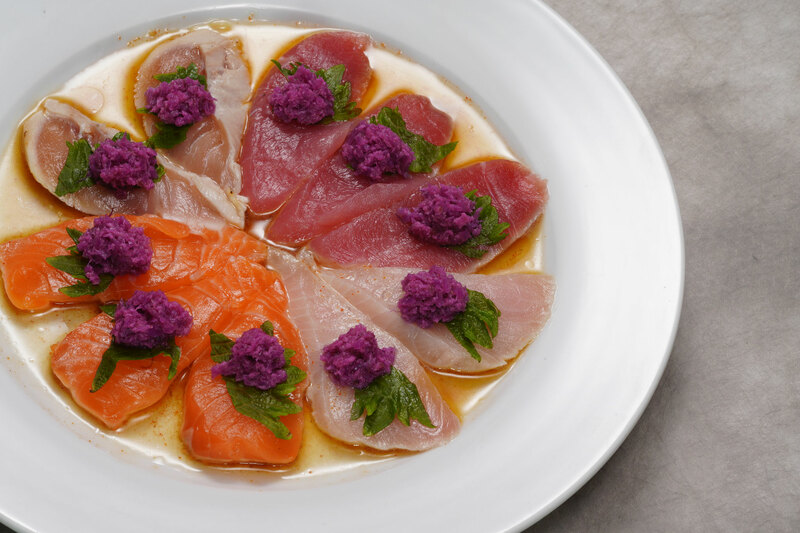 During a long stint at a Downey teppan and sushi eatery, she discovered she had a flare for preparing raw fish, moving up to head sushi chef before leaving for a job with sushi master Nobu Matsuhisa. 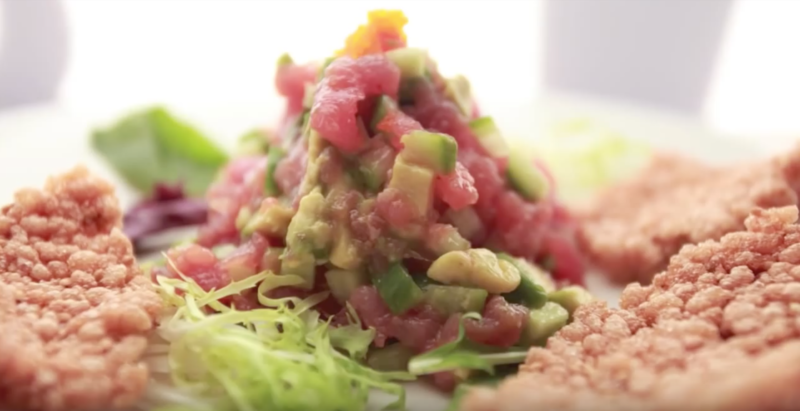 "I loved working for him, but eventually I wanted to create my own food," Izumisawa recalls. Deciding to open her own place, she settled on a small space on Coast Highway in Laguna Beach that had seen a succession of owners. She liked the vibe and the sweeping view of Laguna's picturesque beaches. The clincher: a "yin & yang" symbol painted on the sidewalk that matched the one she'd just had tattooed on her back. "I thought it was a sign that I should work here," she says. She opened the 242 Cafe in January 2000 and built a loyal following among customers and critics with her often offbeat creations. 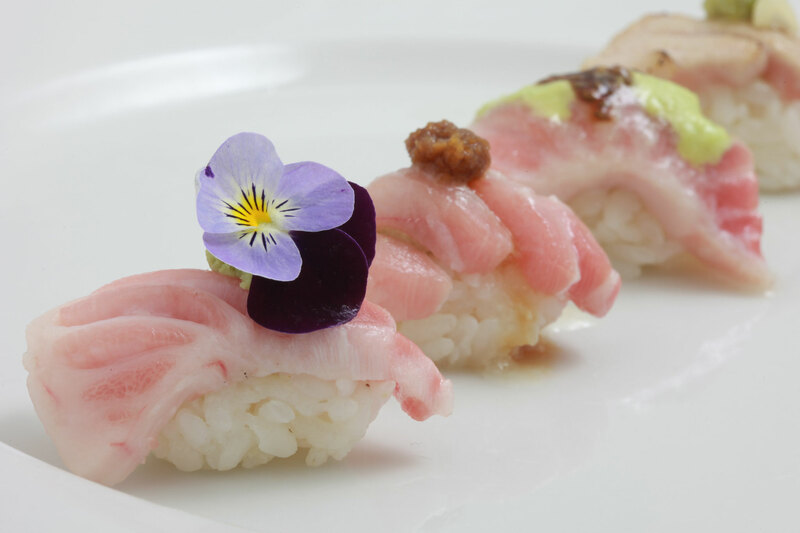 With 5,500 miles between her and the stifling tradition that rules the preparation of sushi in her homeland, Izumisawa felt free to experiment with ingredients such as mango and pine nuts in her sushi rolls. "In Japan, that would be a taboo," she says. So would be the kitchen blowtorch she wields whenever the mood strikes. She dreams up some of her creations while swimming laps each day at the Laguna Niguel YMCA, a routine she calls her "meditation swim" that dates from her days in Okinawa. Spiritual themes of nature and the environment flavor both Izumisawa's artwork and her original dishes such as Moon and Sun. They also reflect her almost mystical approach to life, mixing Buddhism, New Age and the general Japanese fondness for nature and spirituality. She speaks of always having her "antennae up," alert for messages from the kamisama, or "divine beings." Izumisawa's cozy-cramped restaurant seats only 21 customers and quickly fills up on weekend nights. Success has her contemplating expansion. She's considering a space in Manhattan Beach that would be a combination sushi restaurant-art gallery, displaying works by her and other local artists. She's contemplating a design motif that resembles a spaceship and that she describes as "a little bit wacky." And don't be surprised if there's a woman running things behind the counter. "In Japan, women may be treated unfairly in the workplace," Izumisawa says. "But here, I can treat them fairly."